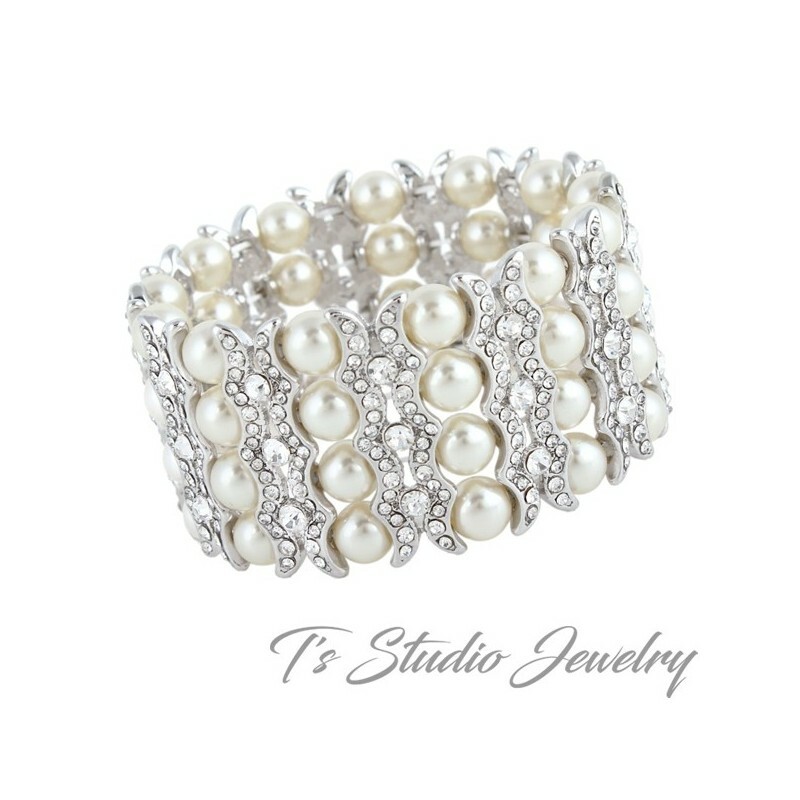 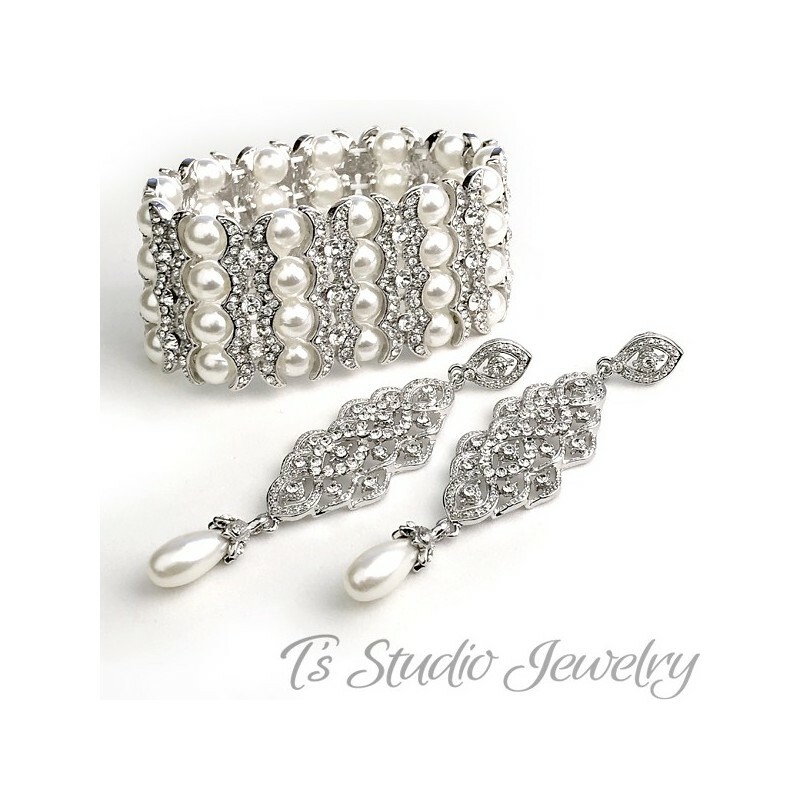 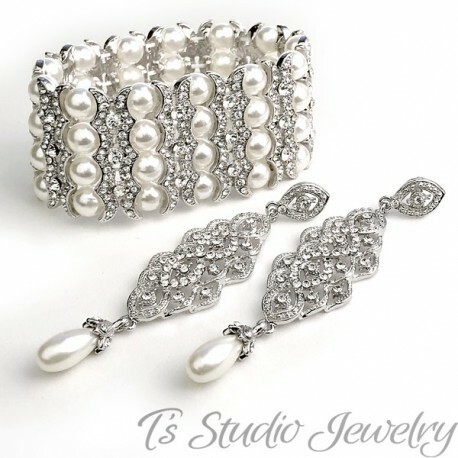 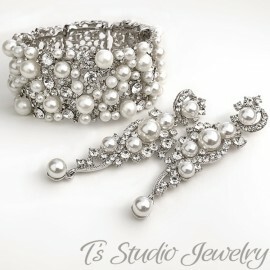 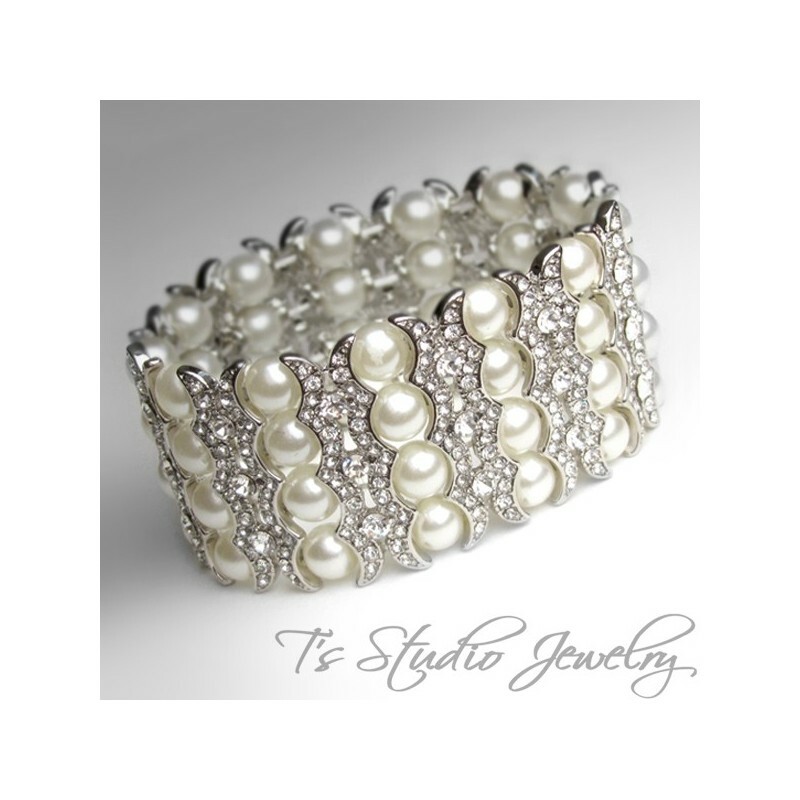 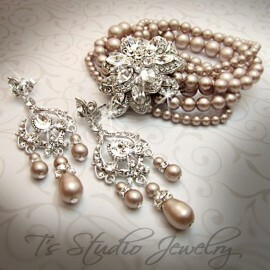 This elegant four strand stretch wedding bracelet features ivory or white pearls, separated by sparkling rhinestone spacers. 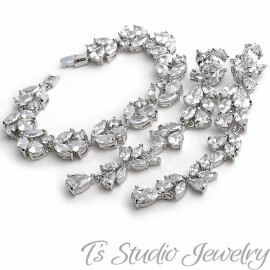 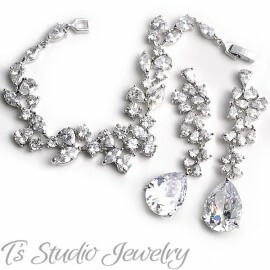 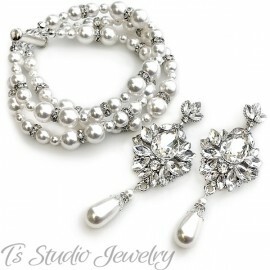 This is also a sophisticated bridesmaid or mother of the bride accessory. 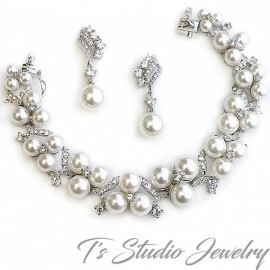 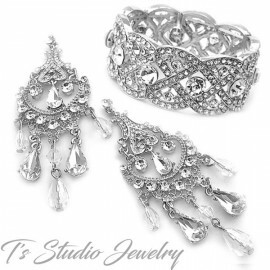 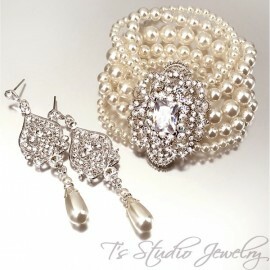 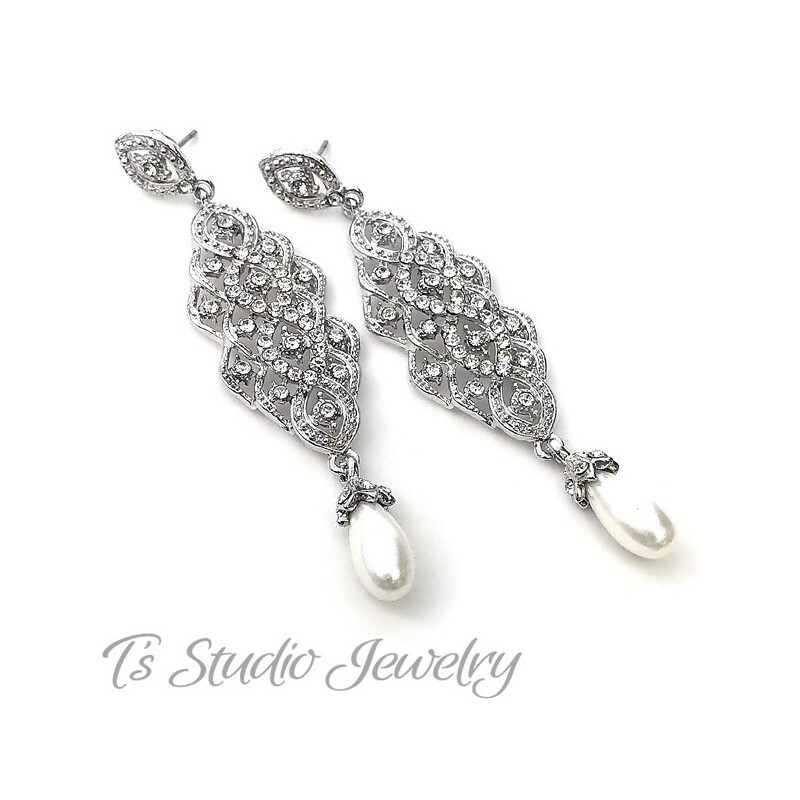 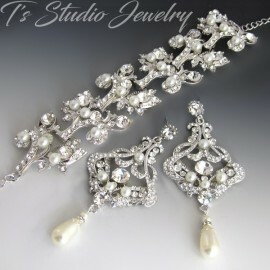 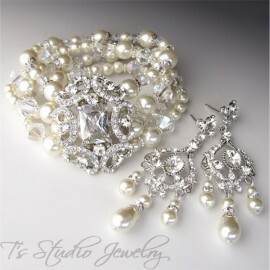 Matching earrings are on a stunning pave style chandelier base, with teardrop pearl dangles. 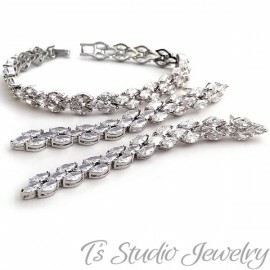 Items are also sold separately. 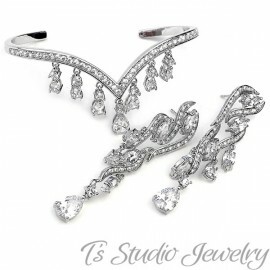 Earrings measure 3 3/8". 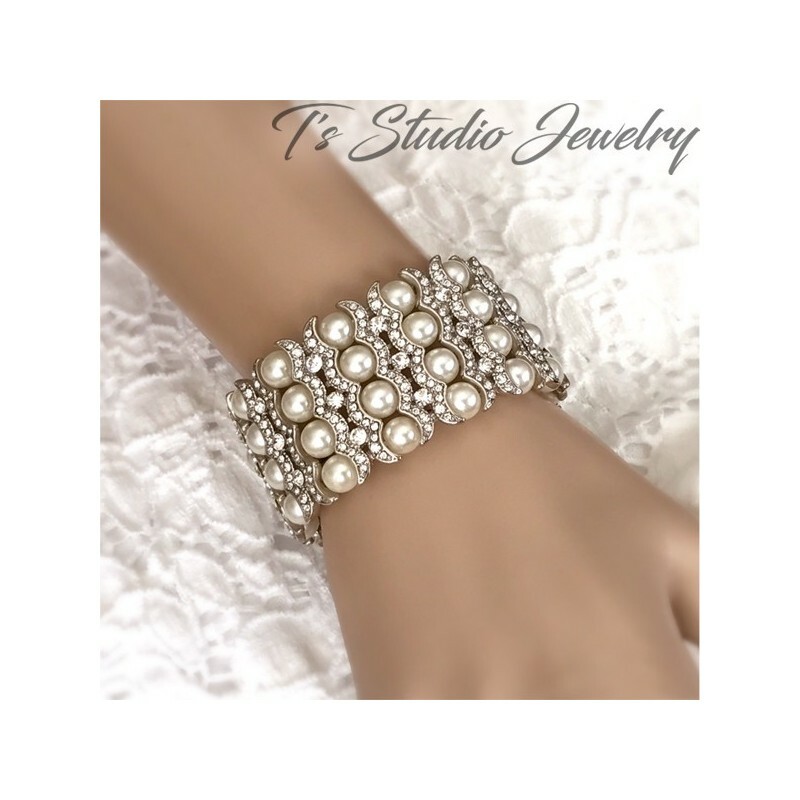 Bracelet is 1 3/8" wide. 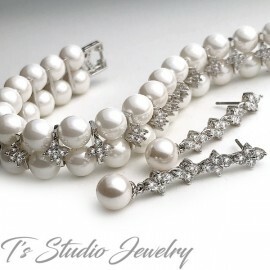 Contact us if you need a pearl color other than ivory or white.